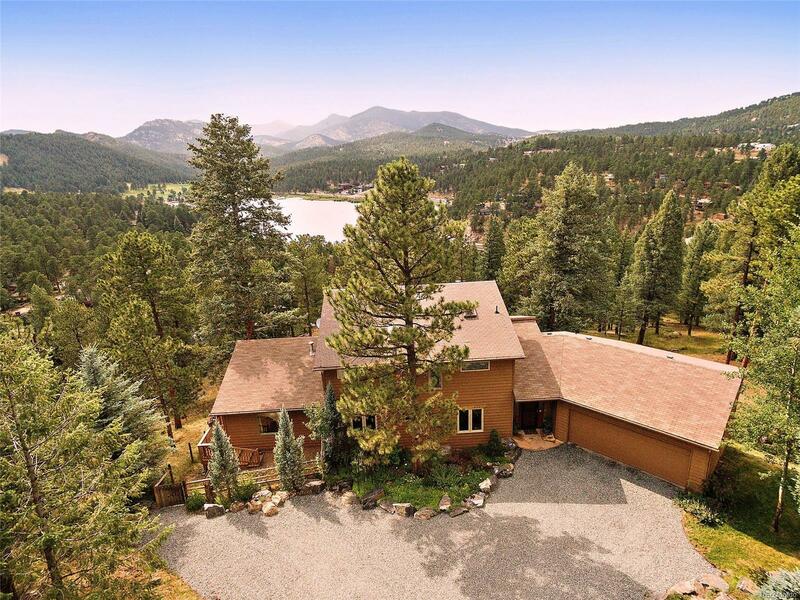 Have you ever dreamed of living in a peaceful, serene location where you could enjoy total privacy offering early morning lake views, mountain views, moon-lit nights and incredible sun-sets? If so, this home is one you will not want to miss! Enjoy incredible views from every window as you glide through this open floor plan flooded with natural light, high ceilings, newly refinished hardwood floors, alder cabinetry, granite counters and high end appliances. You will love the cozy morning room with a gas fireplace that offers access to an expansive deck that is perfect for watching the local wildlife as they meander by. The spacious upper level has a luxurious Master En-suite with a reading nook, five piece bath and his & her walk-in closets. The walk out lower level is perfect for guests with a 4th bedroom and bath, a family room with custom built-in book shelves, exercise/office space and storage/workshop area.